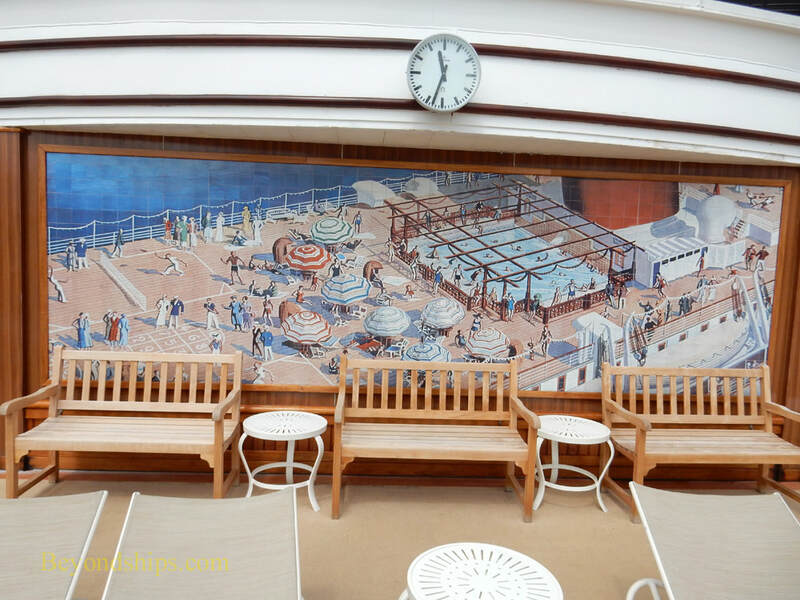 The Pavilion Pool Area is the ship's main pool area. 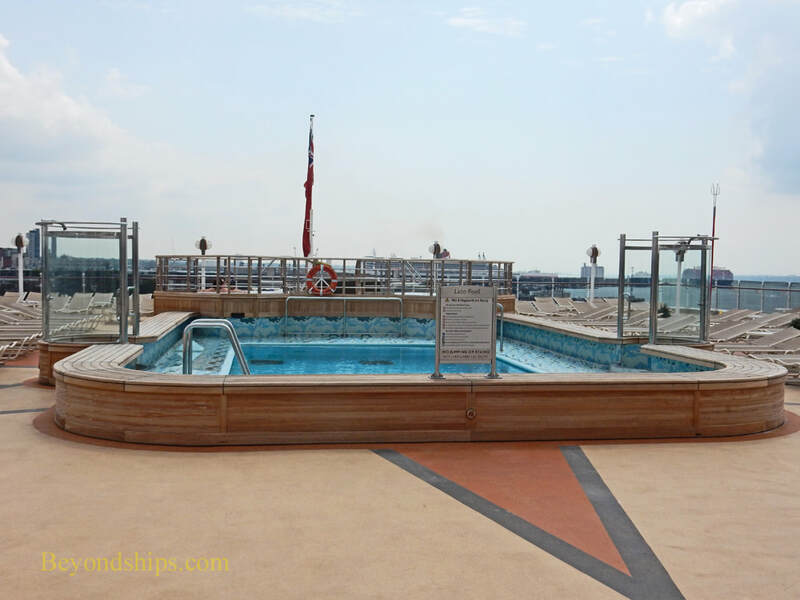 In addition to the pool, it has two whirlpools. 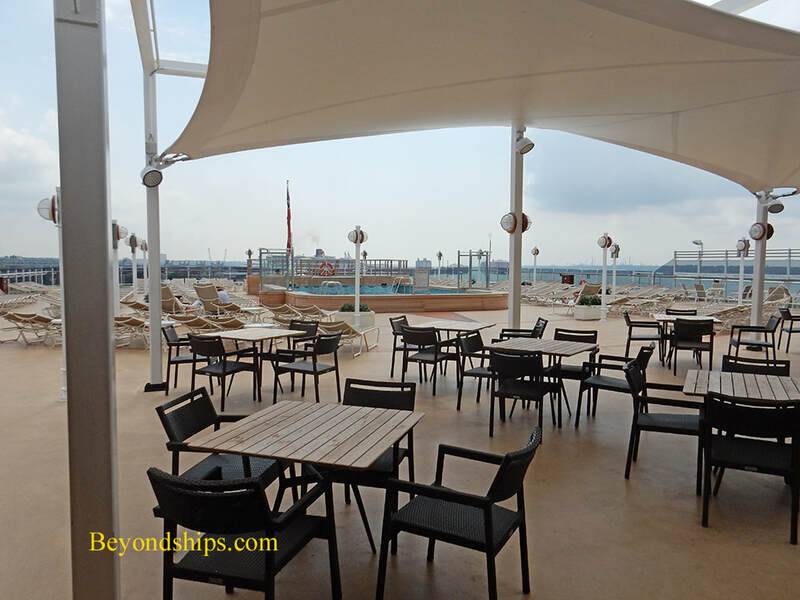 There is premium quality seating around the pool and the area has its own bar. 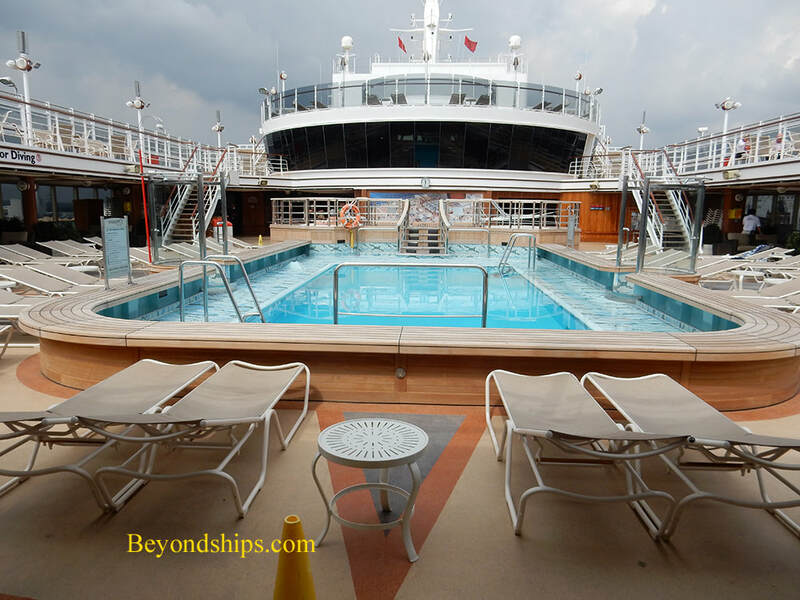 The Lido Pool is at the aft end of the ship and includes the pool, two whirlpools, its own bar and a grill that serves light fare.. 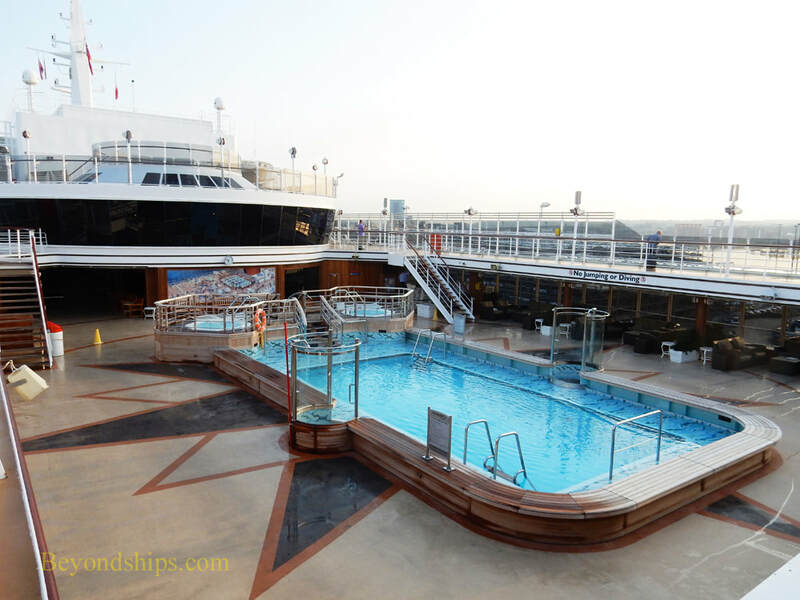 The pool is surrounded by a large amount of open space, making the area attractive for sail-away parties as well as for lounging in the sun. 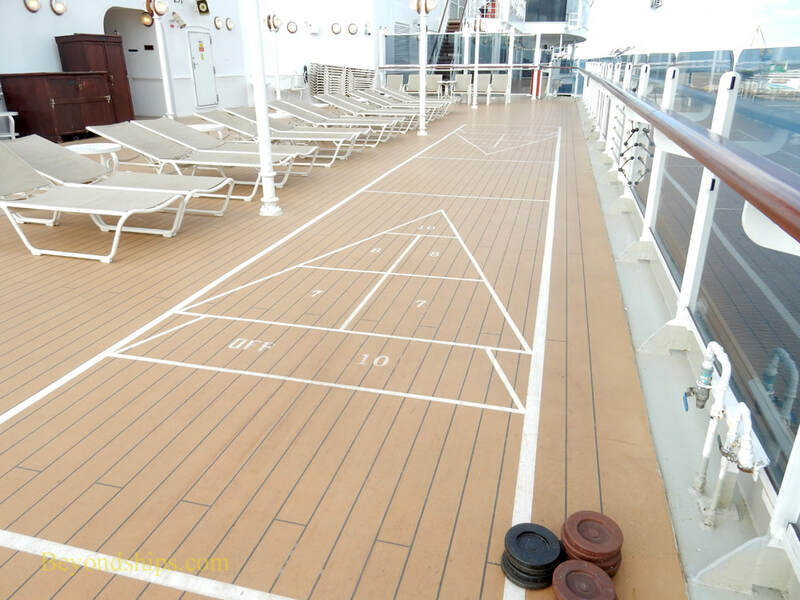 Queen Elizabeth has the Games Deck with facilities for croquet, lawn bowling and deck tennis. 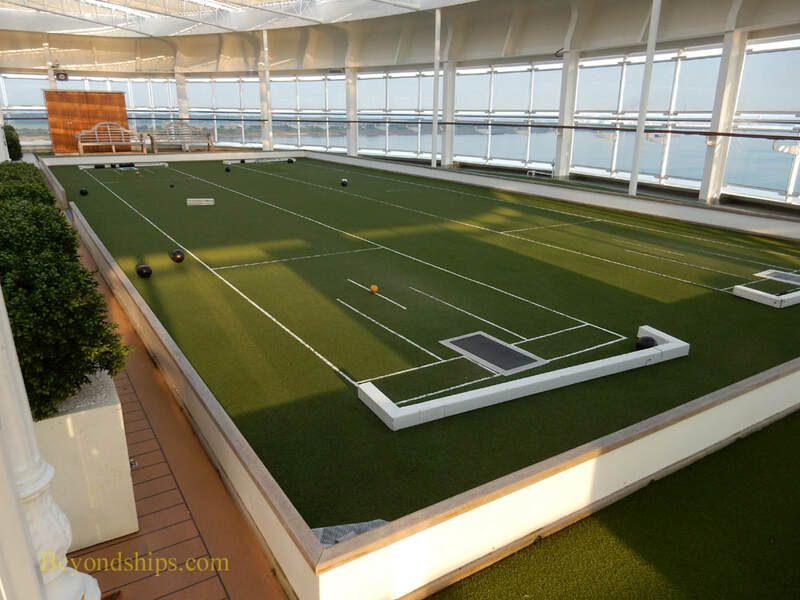 There is a large chess board atop the observation platform that sits on the glass dome covering the Yacht Club. 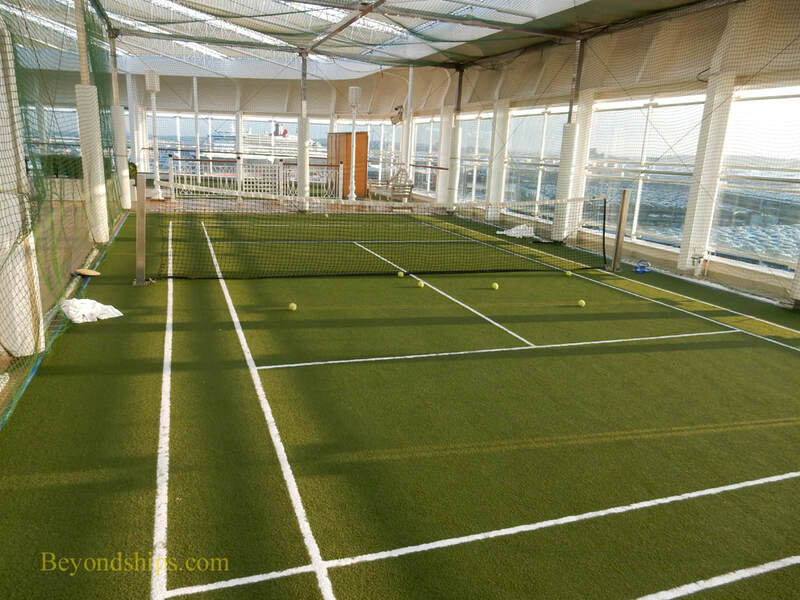 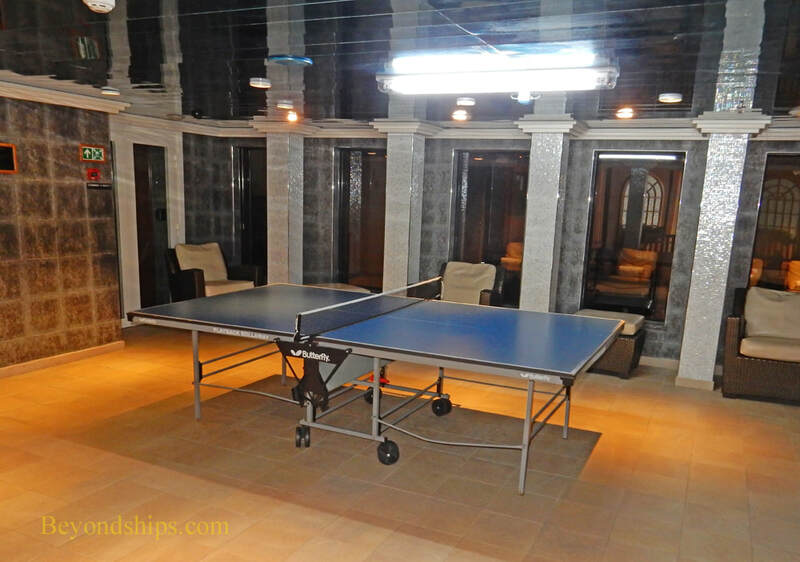 ​Other sports facilities include shuffleboard (below left) and ping pong (below right). 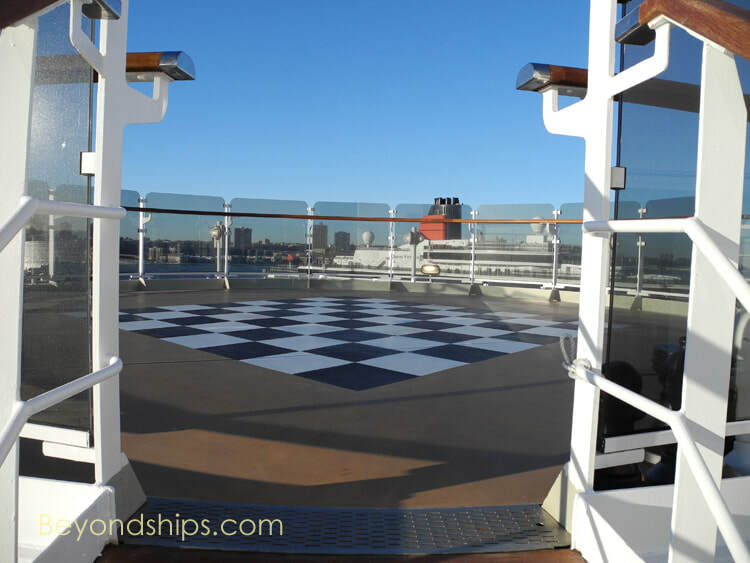 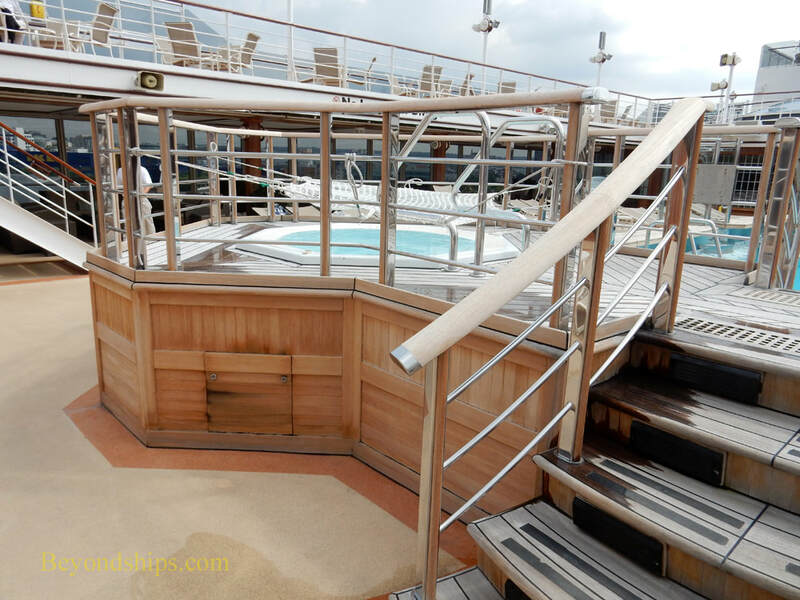 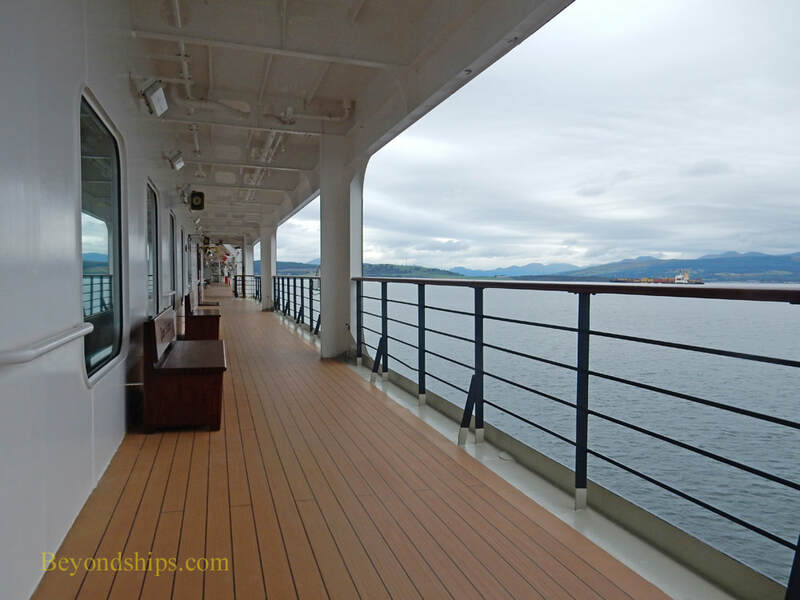 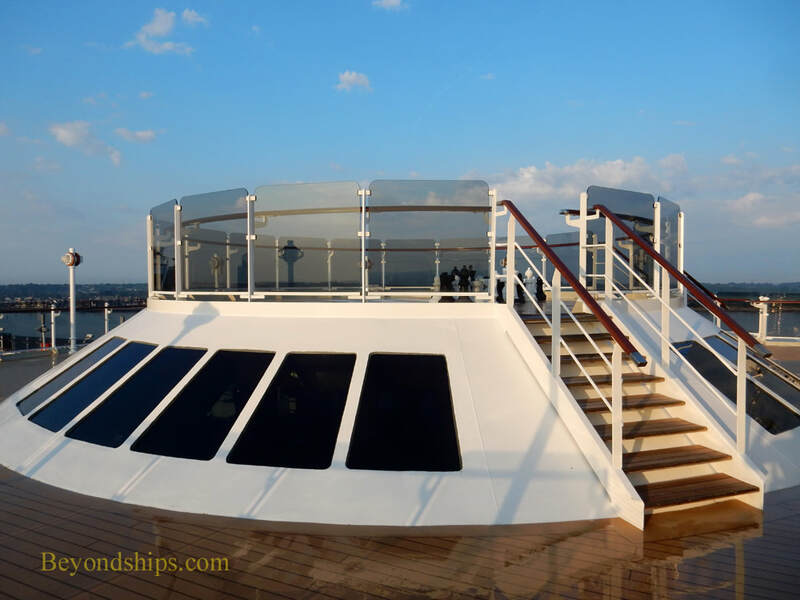 Queen Elizabeth has an outdoor Promenade that runs 360 degrees around the ship.